Columbia University’s world-renowned Lamont-Doherty Earth Observatory has received a gift of marine seismic technology equipment from a leading geoscience firm, CGG Inc. The donation has enabled Lamont to advance its world-class ocean research capacities and opens the door to new areas of sub-seafloor exploration, including an expanded understanding of the undersea dynamics related to earthquakes and tsunamis as well as climate science and impacts of sea level change. CGG has played a key role as supplier of marine seismic equipment to Lamont. Lamont’s Office of Marine Operations (OMO) currently operates the research vessel Marcus G. Langseth, which is owned by the National Science Foundation (NSF). This CGG donation of equipment, with an estimated list price of a few million dollars, significantly builds on an initial NSF-funded purchase of marine seismic equipment from CGG in 2015 that replaced an old and outdated system. This latest equipment provides new upgrades and critical redundancy and adds long-term sustainability to the seismic system. 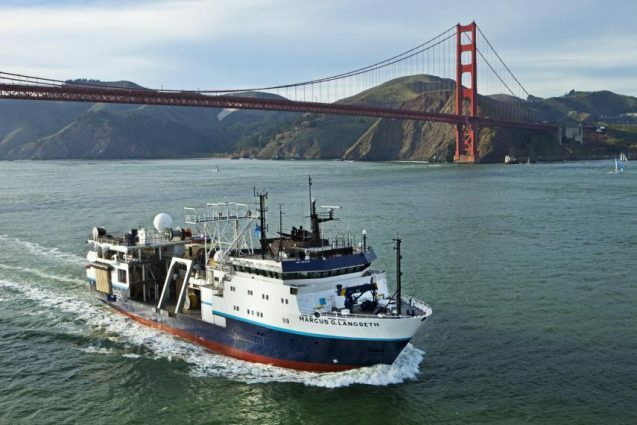 The R/V Langseth serves as the national seismic research facility for the United States academic research community and has a unique seismic capability that allows it to provide both two-dimensional and three-dimensional images of Earth’s structure miles below the seafloor. 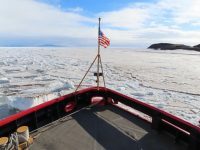 The R/V Langseth is a part of the University-National Oceanographic Laboratory System, an organization of 62 academic institutions and national laboratories involved in oceanographic research, and is distinct among ships in the academic fleet in that it is a designated National Facility. OMO Director Sean Higgins characterizes the gift as game-changing for Lamont and for ocean research across the country. 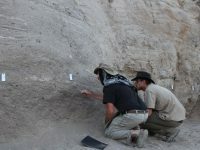 “The generosity that CGG showed in doing this is remarkable. But, I think the impact on the science is ultimately what drove CGG to make this donation, and that’s why we’re here. We’re here to support the scientific community. The new seismic capability on the Langseth allows academic researches to pursue projects that were previously not possible. We’re able to resolve deeper targets, and imaging is much improved. There is lower noise and better towing, and the technology is more reliable, which makes the ship’s cruises more effective,” said Higgins.